Oh, how quickly Dodge switches compact mistresses. 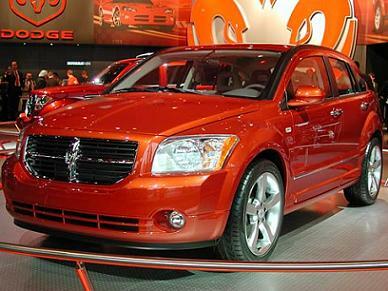 Just a little over three months after kissing the last Neon on the forehead and sending it on its way, Chrysler's Attitude Division has replaced it with the Caliber. The first examples to be built are preproduction models to iron out kinks and use in photo shoots; full-scale production beginns in mid-January, just after it appears on Dodge's arm for the first time in public as Dodge's official new girl. The last we heard, the Neon was living with a rapidly-aging thirtysomething aspiring filmmaker in a one-bedroom with a dilapidated carport on the outskirts of Mobile.